The New York Post and Newsday are reporting that the New York Giants have narrowed their head coaching search down to New England Patriots Defensive Coordinator Matt Patricia, New England Patriots Offensive Coordinator Josh McDaniels, and Minnesota Vikings Offensive Coordinator Pat Shurmur. The current teams for all three candidates are still in the playoffs. The Giants cannot hire any of these coaches until their season is done. The Daily News and ESPN are reporting that Patricia is the front-runner for the position. All three candidates are being seriously pursued by other teams. It has been long reported that the Detroit Lions are serious contenders for Patricia’s services. The Indianapolis Colts are believed to be front-runners for McDaniels. Shurmur has drawn interest from the Lions and Arizona Cardinals, with the Cardinals believed to be leading contenders for him. The Giants interviewed three other candidates who apparently are no longer in contention. They include New York Giants Defensive Coordinator Steve Spagnuolo, Carolina Panthers Defensive Coordinator Steve Wilks, and Denver Broncos Running Backs Coach Eric Studesville. 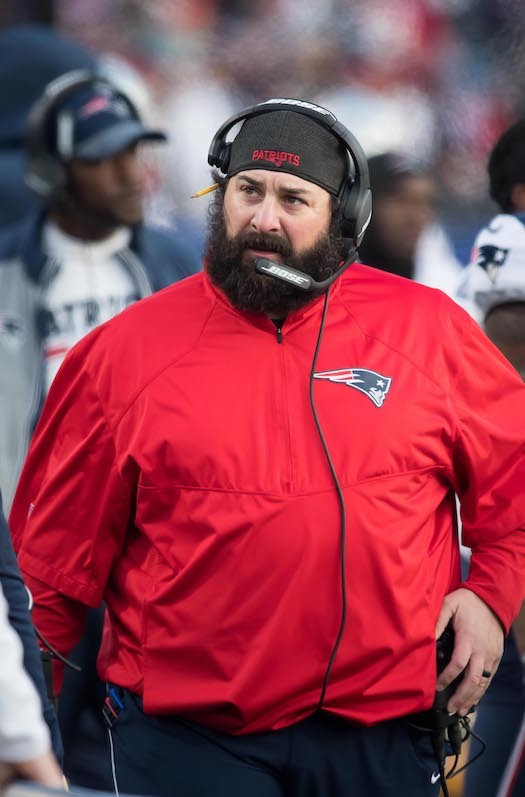 The 43-year old Patricia has spent his entire professional coaching career with the Patriots (starting in 2004) and has been New England’s defensive coordinator since 2012. The 41-year old McDaniels not only has served as the Patriots’ offensive coordinator and quarterback coach (2006-2008, 2012-2017) in recent years but he also was the head coach of the Denver Broncos (2009-2010) where he compiled an 11-17 (.393) record. New York Giants Wide Receivers Coach Adam Henry has joined the coaching staff of the Cleveland Browns. Henry is the fourth Giants coach to depart this offseason, including Offensive Coordinator Mike Sullivan, Quarterbacks Coach Frank Cignetti, Jr., and Defensive Line Coach Patrick Graham. Team Chairman/Executive Vice President Steve Tisch was also present for the interview with Wilks. As of today, no other interviews are known to have been scheduled. The 43-year old Patricia has spent his entire professional coaching career with the Patriots (starting in 2004) and has been New England’s defensive coordinator since 2012. The Detroit Lions are said to be front runners for Patricia’s services, although SI.com is reporting that Patricia favors the Giants. The 41-year old McDaniels not only has served as the Patriots’ offensive coordinator and quarterback coach (2006-2008, 2012-2017) in recent years but he also was the head coach of the Denver Broncos (2009-2010) where he compiled an 11-17 (.393) record. The Indianapolis Colts are also interested in McDaniels. In recent years, the 52-year old Shurmur has served as Philadelphia Eagles quarterback coach (2002-2008), St. Louis Rams offensive coordinator (2009-2010), Cleveland Browns head coach (2011-2012), Philadelphia Eagles offensive coordinator (2013-2015), and Vikings tight ends coach (2016). 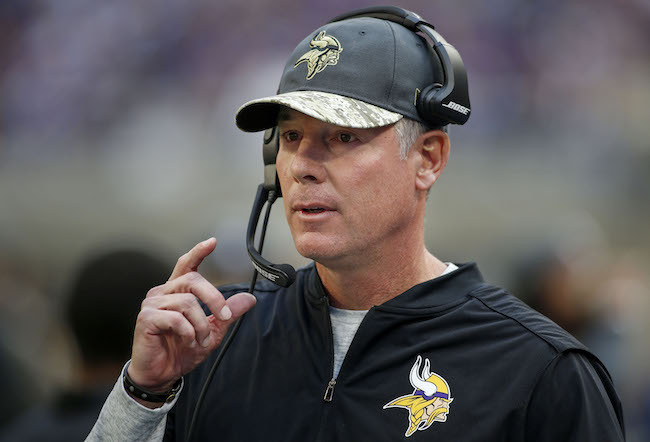 Shurmur was promoted to Vikings offensive coordinator in 2017. He also served as interim head coach for the Eagles in 2015. Shurmur has drawn interest from the Lions and Arizona Cardinals. The 48-year old Wilks has served as as a defensive backs coach with the Washington Redskins (2005), Chicago Bears (2006-2008), San Diego Chargers (2009-2011), and Panthers (2012-2016). He was also named an assistant head coach of the Panthers in 2016 and promoted to defensive coordinator in 2017. Wilks was scheduled to interview with the Cardinals on Wednesday and the Colts on Thursday. Denver Broncos have hired Giants Offensive Coordinator Mike Sullivan as their quarterbacks coach. Green Bay Packers have hired Giants Quarterbacks Coach Frank Cignetti, Jr. as their quarterbacks coach. Green Bay Packers are interviewing Giants Defensive Line Coach Patrick Graham. The New York Giants have signed running back Jalen Simmons, offensive tackle Laurence Gibson, and linebacker Thurston Armbrister to reserve/futures contracts. Simmons was originally signed as an undrafted rookie free agent by the Carolina Panthers after the 2016 NFL Draft. He spent the 2016 on the Practice Squad of the Panthers and spent time in 2017 on the Practice Squads of the Panthers and San Diego Chargers. Simmons is a short, stocky running back who lacks ideal speed, but he plays with a low center of gravity and good vision. Gibson was originally drafted in the 7th round of the 2015 NFL Draft by the Dallas Cowboys. He has spent time with the Cowboys (2015), Chiefs (2015), Falcons (2016), Bears (2016), Giants (2016), Texans (2016-2017), and Browns (2017). The Giants signed him to their Practice Squad in September 2016 and cut him a few months later in December. He has yet to play in a regular-season game. Gibson is a very athletic lineman with good height and long arms. A better testing athlete than football player so far, Gibson needs to play with more strength and power. Armbrister was originally signed as an undrafted rookie free agent by the Jacksonville Jaguars after the 2015 NFL Draft. He has spent time with the Jaguars (2015) and Detroit Lions (2016-2017). Armbrister has played in 30 regular-season games with five starts, and has accumulated 38 tackles and one pass defense. He did not play in a regular-season game in 2017. Armbrister lacks ideal size and athleticism, but he is a good run defender with fine intangibles. 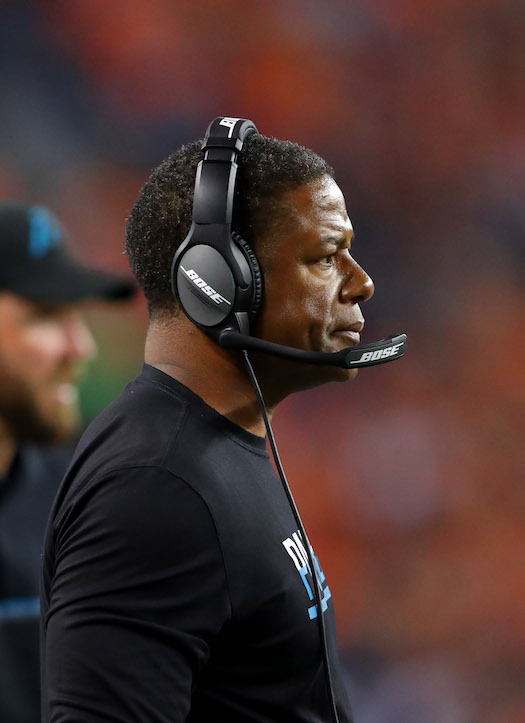 ESPN is reporting that the Giants will likely interview Carolina Panthers Defensive Coordinator Steve Wilks on Monday. 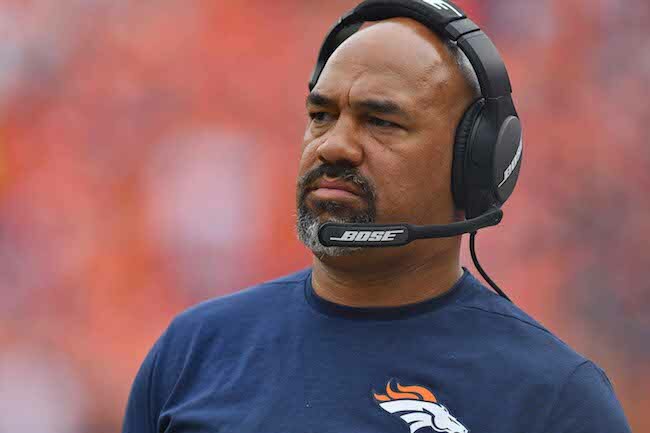 The Giants are also expected to interview Denver Broncos Assistant Head Coach/Running Backs Coach Eric Studesville soon as his previously-scheduled interview was postponed due to weather. The Giants have requested to interview Philadelphia Eagles Defensive Coordinator Jim Schwartz, but there is no word on any scheduled meeting. 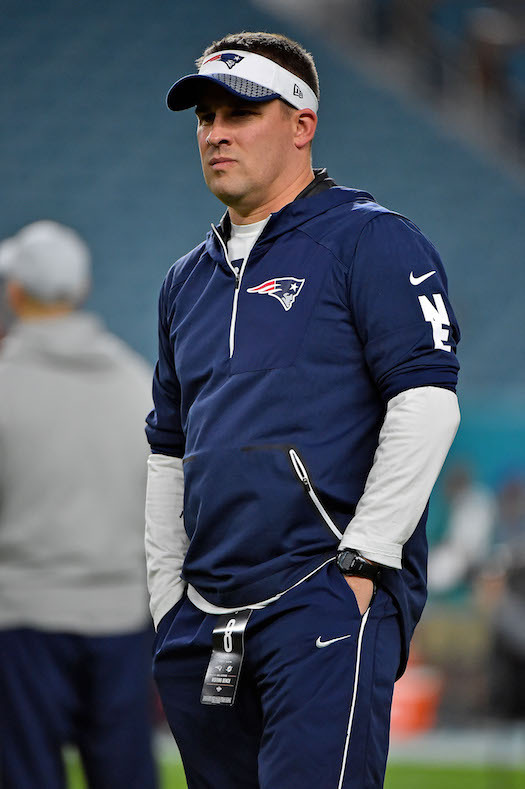 The 43-year old Patricia has spent his entire professional coaching career with the Patriots (starting in 2004) and has been New England’s defensive coordinator since 2012. Some media reports indicate that Patricia is the favorite to land the head coaching job with the Detroit Lions. The 48-year old Wilks has served as as a defensive backs coach with the Washington Redskins (2005), Chicago Bears (2006-2008), San Diego Chargers (2009-2011), and Panthers (2012-2016). He was also named an assistant head coach of the Panthers in 2016 and promoted to defensive coordinator in 2017. The 51-year old Schwartz has served as the defensive coordinator of the Tennessee Titans (2001-2008), head coach of the Detroit Lions (2009-2013), defensive coordinator of the Buffalo Bills (2014), and defensive coordinator of the Eagles (2016-2017) in recent years. He was 29–51 (.363) in the regular season and 0-1 in the post-season as Detroit’s head coach. *Note: Studesville’s interview has been postponed until next week due to inclement weather. Justin Tuck Says He Will Test Free Agent Market: Defensive end Justin Tuck, who is set to become an unrestricted free agent on March 11, told The New York Post that he will not re-sign with the Giants before free agency begins. 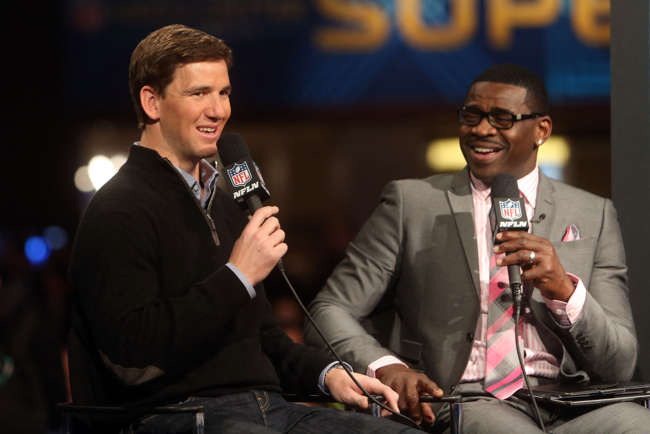 Tuck did say he will extend the Giants the courtesy of sitting down with them in February. Punter Steve Weatherford on ESPN Radio: The audio of Thursday’s ESPN Radio interview with punter Steve Weatherford is available at ESPN.com.